I recently become obsessed with statement necklaces. I know, I am way behind the times on this one, as usual. My obsession started when I was looking for a bold necklace to go with the dress I bought for the wedding we're going to in San Diego this weekend. The dress is a solid royal blue, so I wanted a colorful statement necklace to make it look more interesting. I discovered the website Jeweliq and love it! If you haven't seen it, it's worth a look. They have great jewelry, all for $25 or less! I also found BaubleBar which has great options as well. Unfortunately, because I am the worst online shopper and let my indecisive ways get the best of me, my favorite necklaces are either out of stock or wouldn't have shipped in time for the wedding. But I found a great back up, that will hopefully look good with the dress! I'll keep you posted. Have you discovered any new online stores recently? 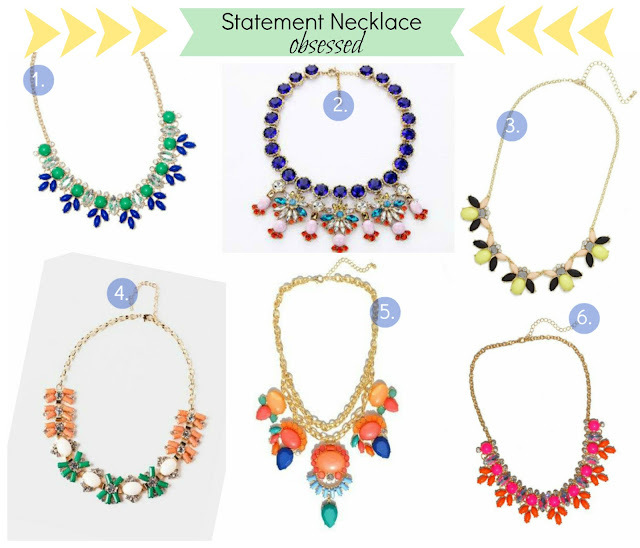 Did you jump on the statement necklace trend? Ohhhh I love number 5! 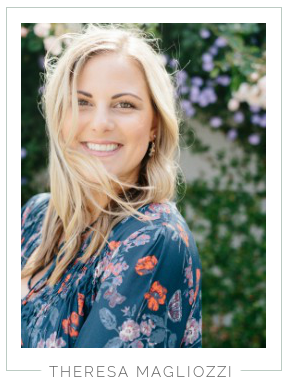 Two of my absolute favorite jewelry sites! We all can't afford to run to J. Crew and pick up the newest neon bauble for $100+, and why should we when there are plenty of options that are just as gorgeous and more affordable?! Love your picks! Happy Fathers Day! I Love You Dad!